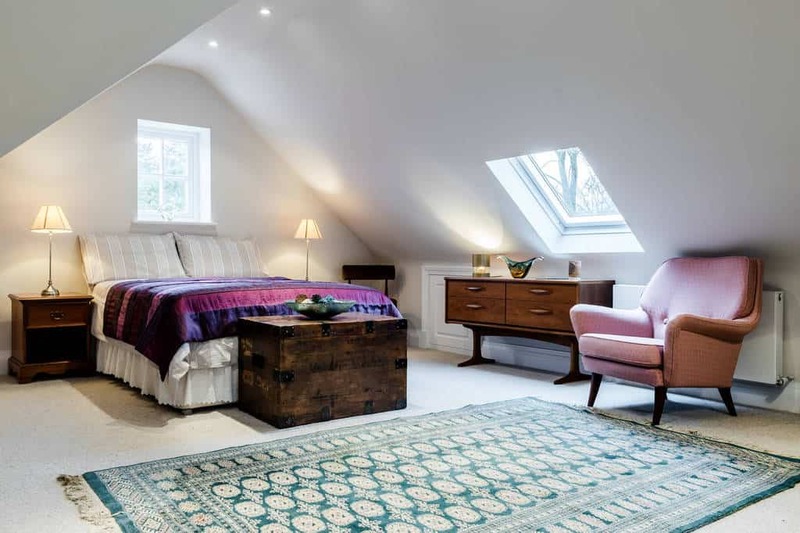 When deciding on a bedroom style, make sure it is something you love. Your bedroom is your personal space, so make sure it matches your personality. After all, it is your room and you will certainly be spending time there. 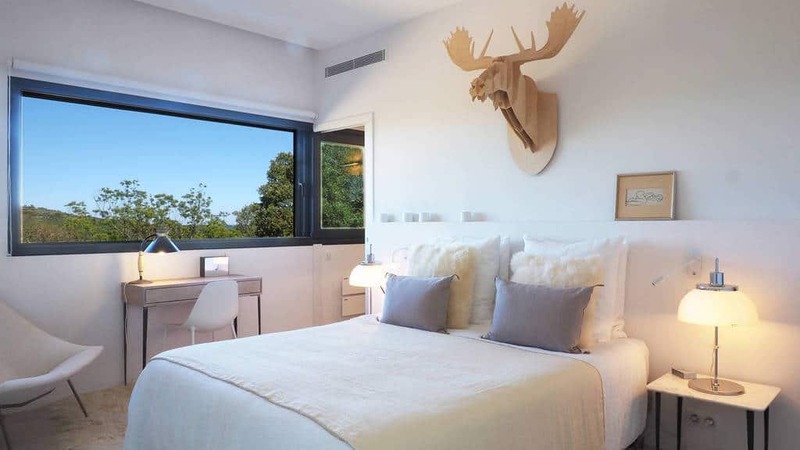 Having a modern bedroom style can really be a great option. 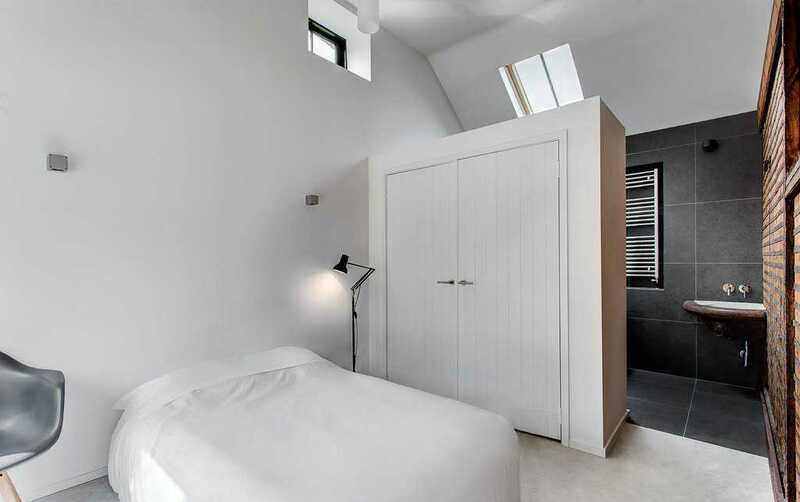 Modern bedrooms give you a wide range of options, depending on your tastes and the size of room you are in. 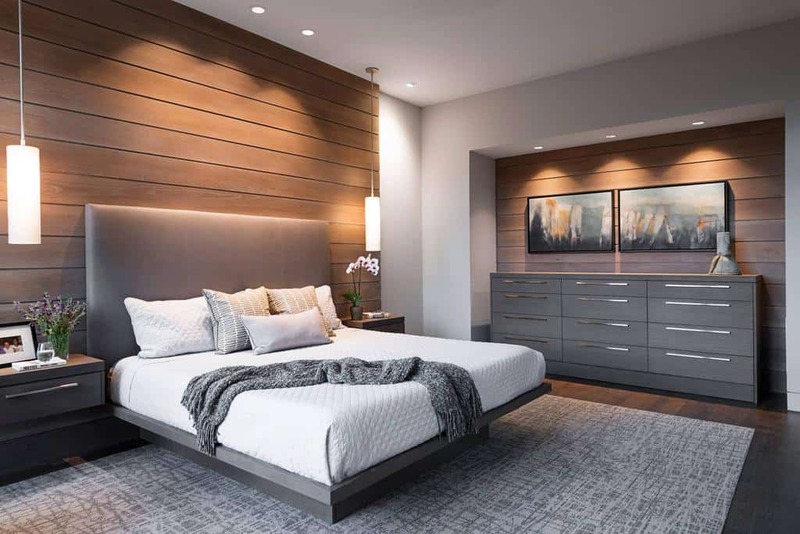 Whether you are remodeling an existing bedroom or starting from scratch, we have gathered some great ideas for your to browse through. With a beautiful hardwood wall that is matched by the furniture, you will love how open this room is because of the windows. The natural light shines in and shows off wonderful style. This room works so well thanks to the bench space by the window and the natural light that shines in. You can come here to relax any time of day. 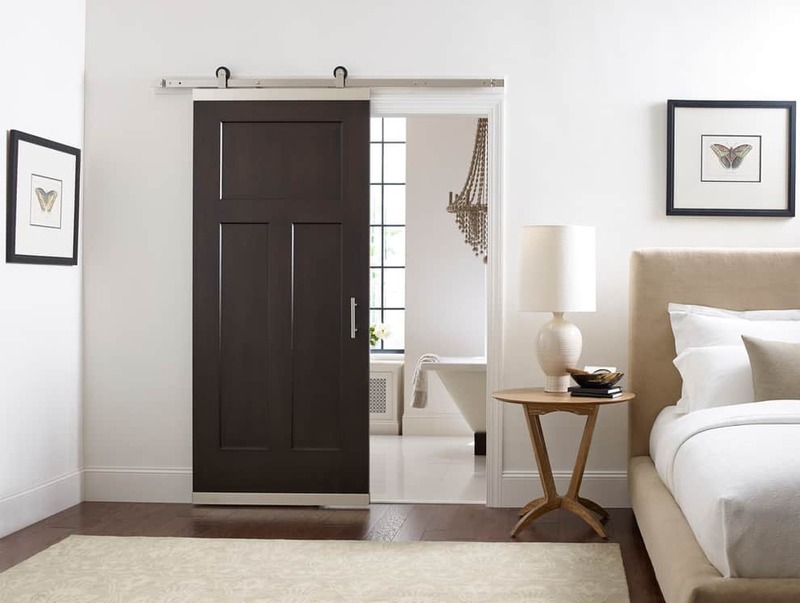 This room takes advantage of light styles and balances them perfectly with the hardwood floor and sliding door. With easy furniture and decor, this room comes together nicely. 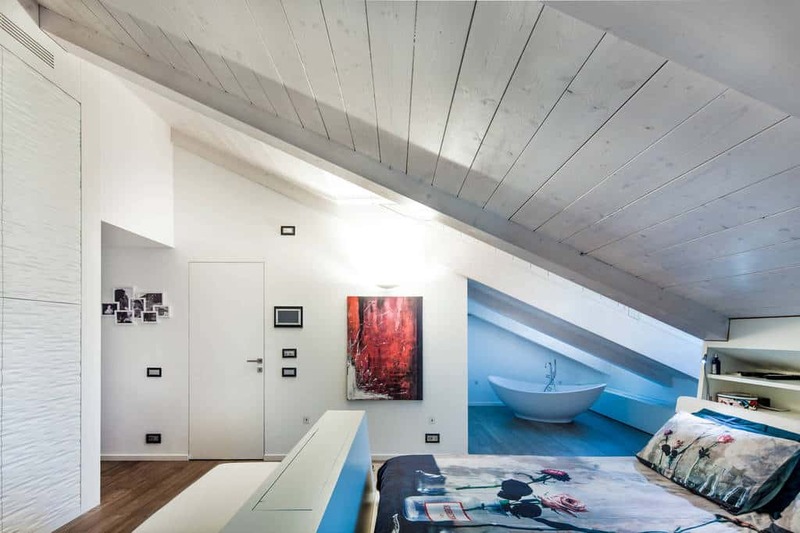 Just because you have a loft space doesn’t mean you can’t use it. 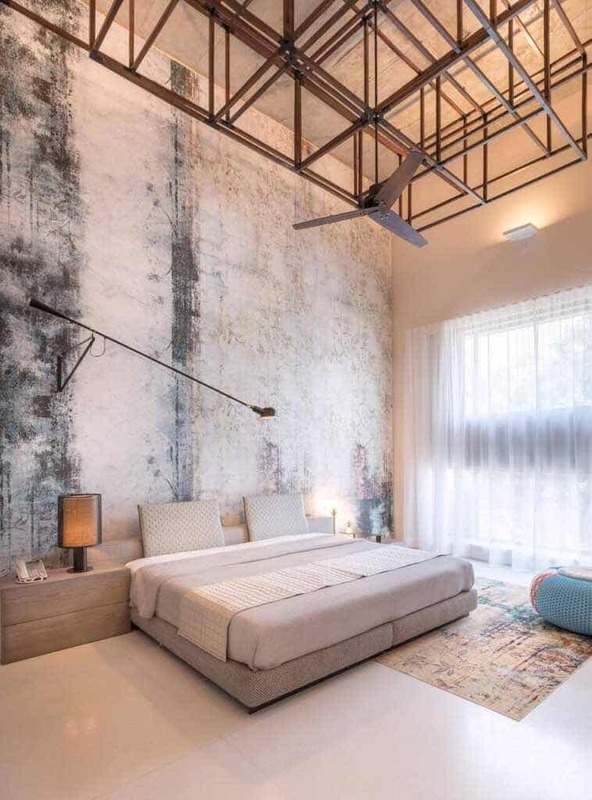 This room wastes no space and creates a wonderful style thanks to the artwork and decor. 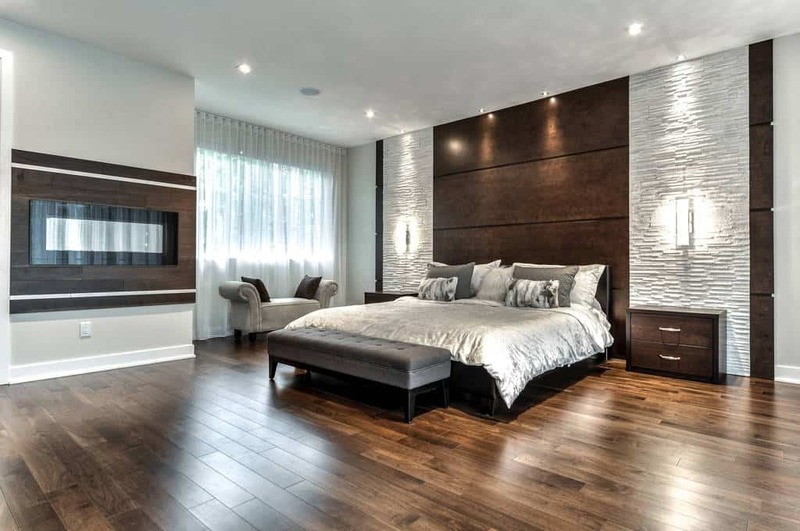 Rooms that use hardwood this way are perfect to create a great style around. The furniture is a great match for this space and the earth tones are perfect. 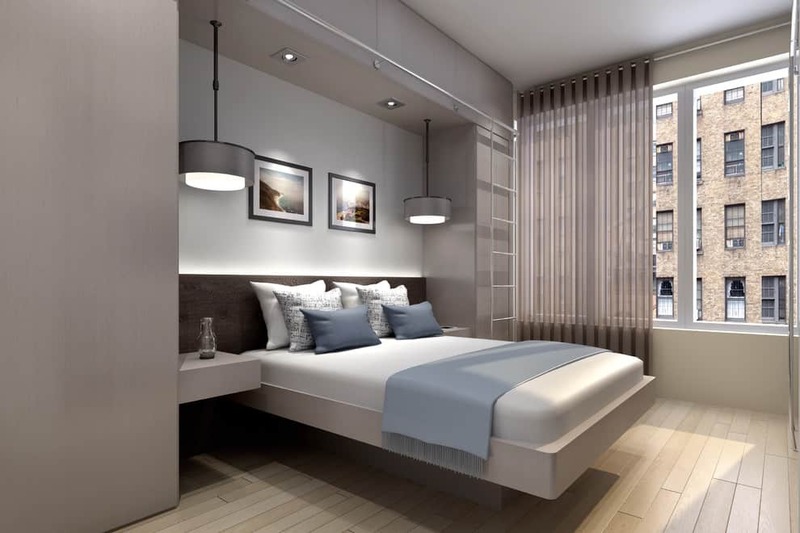 This room will make sure you have enough places for everyone, and when you need some extra space, you can fold the beds up. With great natural light, this is a functional room. This room has a great open floor style and wonderful natural light shining in to show it off. With beautiful hardwood furniture that doesn’t overwhelm, this is a perfect room. When you have a beautiful space like this, you don’t have to do much to make it great. The wonderful patterns and simple decor here make this a place you will love to be in. The dark and bold styles here contrast so well with the light and elegant designs and fabrics. This is a comfortable space, giving you an area to relax in anytime. With a beautiful and bold hardwood floor, this room can create a wonderful design around it. There is elegant texture and hardwood furniture to match the floor. This room takes on a stylish grace, with beautiful artwork to grace the walls. The elegant fireplace will keep the whole room warm and you can really appreciate the simplicity of this room. When you have more than one kid and you want everyone to still have plenty of space, this is the perfect set up. 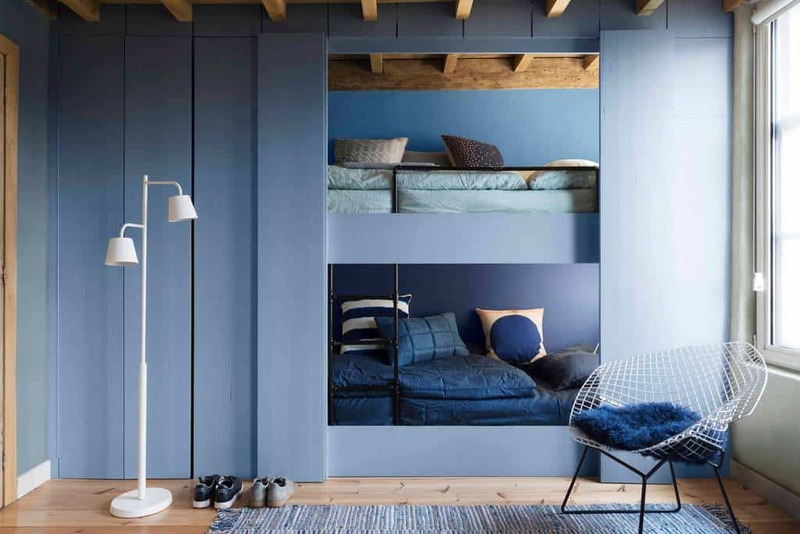 Both beds are large and the whole are looks great thanks to the blue color scheme. Nothing here gets in the way and that works great. 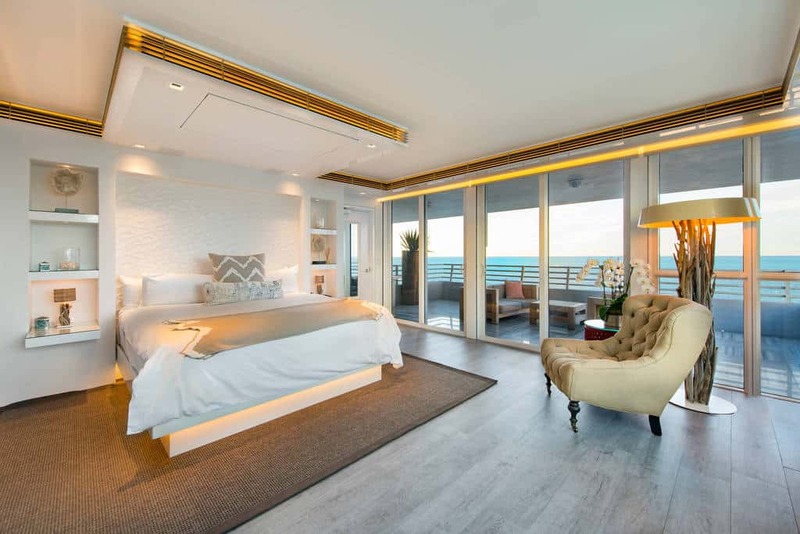 The bedroom is light and minimal and easily connected to the bathroom are. The bathroom creates a great contrast to the bedroom by using darker coloring. The earth toned walls create a wonderful backdrop for the style of this room. Contemporary in design, the coloring is what really makes this space great. The reds work, especially the rug pattern. 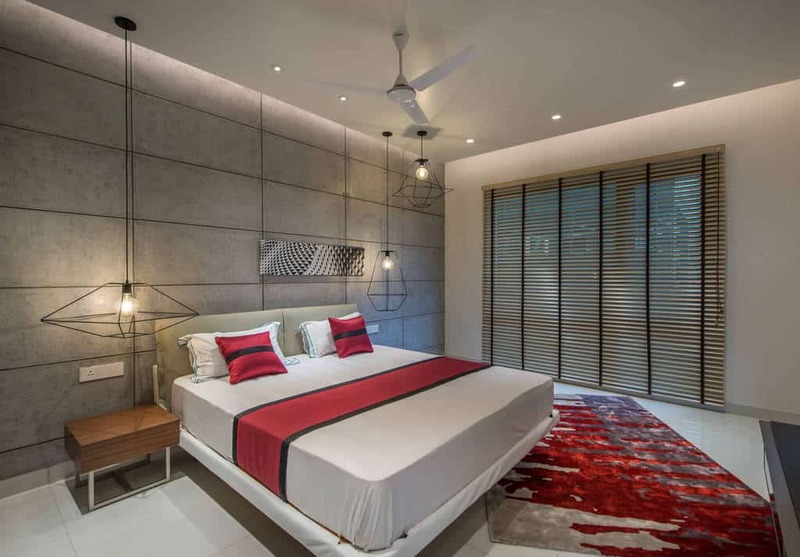 This modern room has a wonderful looking design, stylish and new-age. 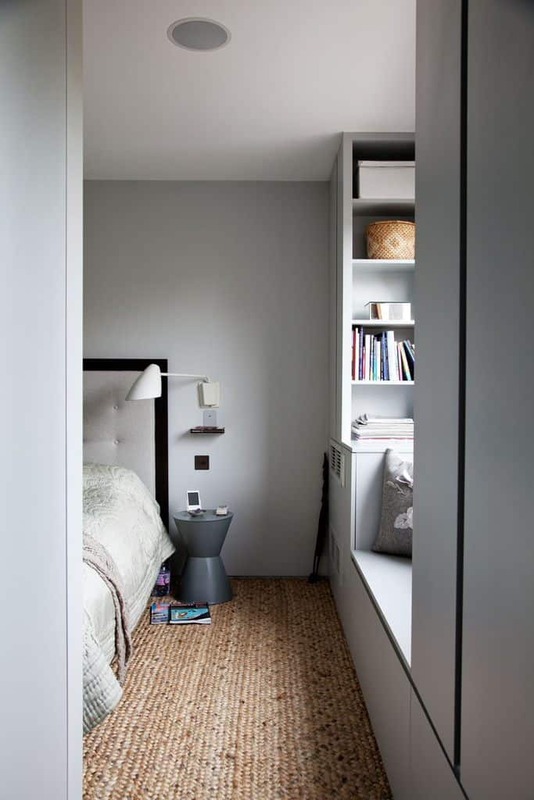 The low profile bed is sleek, making it a great match for this space. With a beautiful use of hardwood furniture, this room stands out by contrasting them with lighter patterns and styles all around. 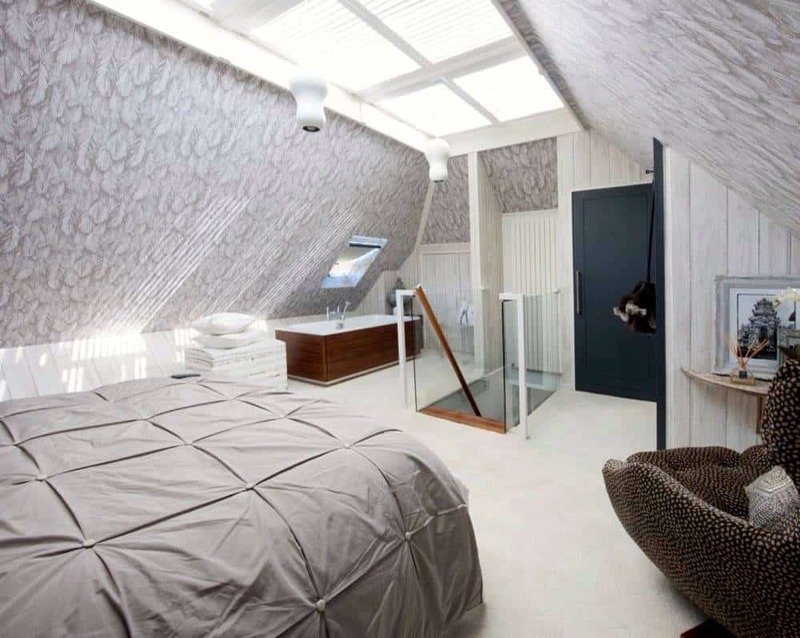 The natural light shines in from the window and skylight to show the space off. This large window gives you an open sense for this room, letting you see out and the natural light pour in. 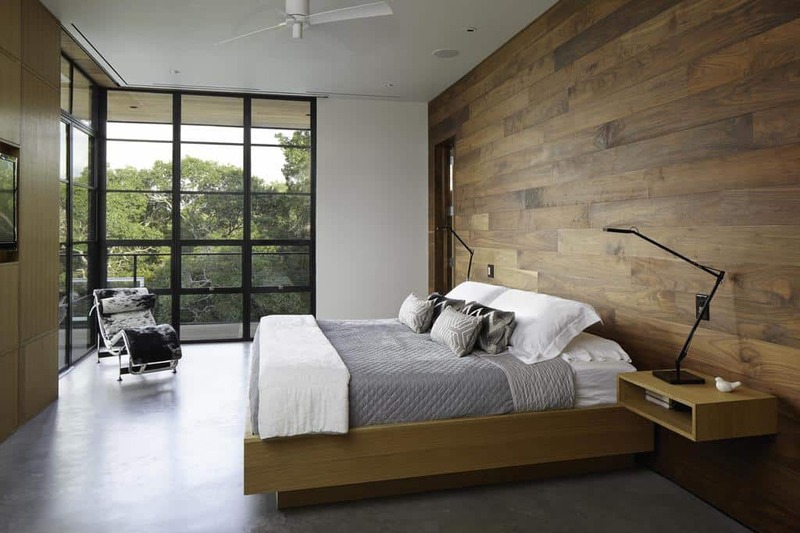 The dark hardwood floor is balanced by the light walls for a great effect. In every direction, you can see the outside world from this room. 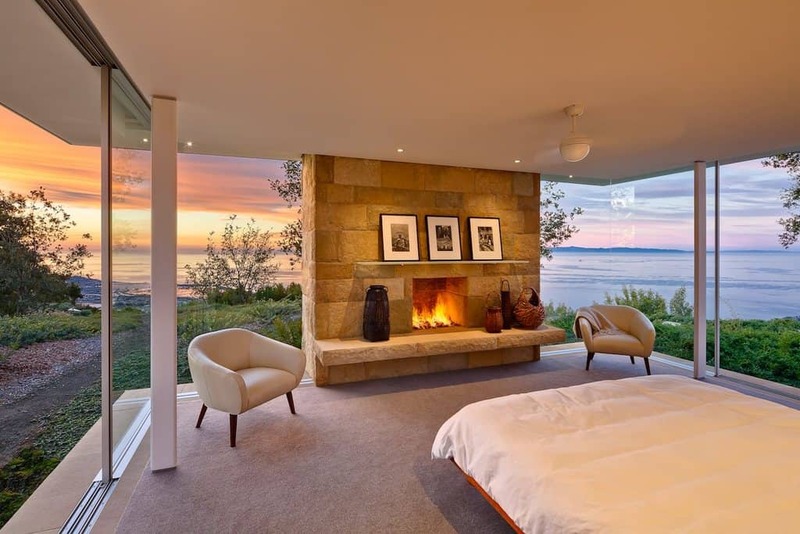 The view is beautiful, especially as you relax in the warmth of the fire. 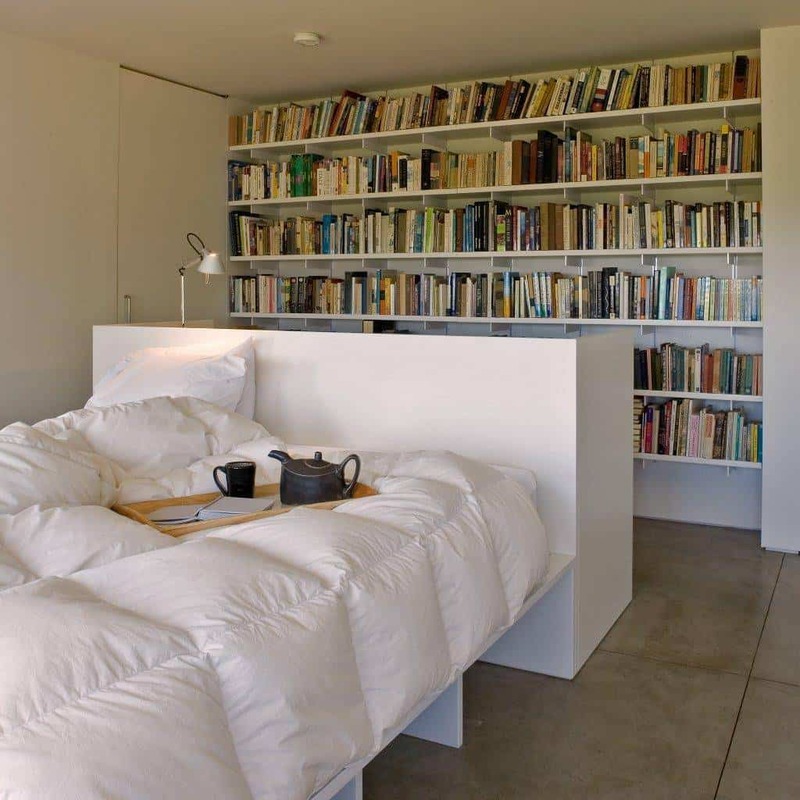 Enjoy the simplicity of this room. 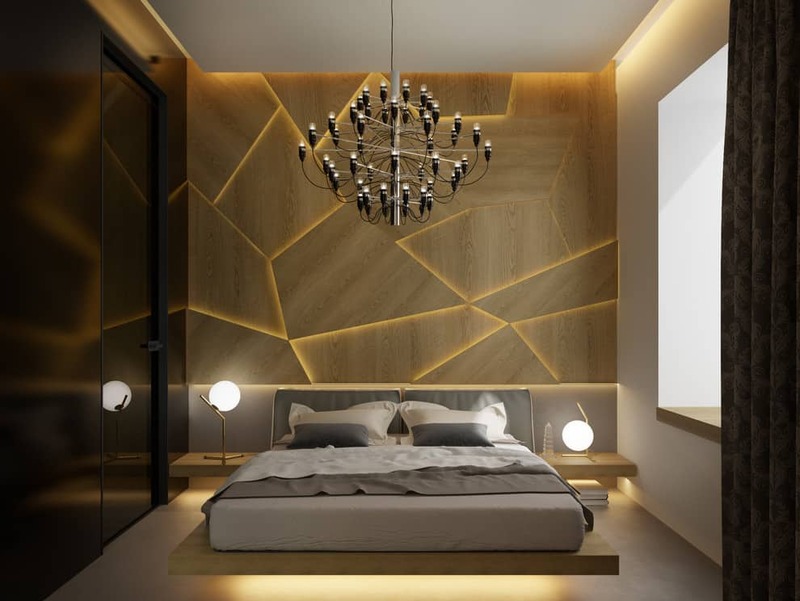 This room is sleek, giving you a modern luxurious feel. The grays used match the light hardwood floor well and the built in furniture is minimal and wonderful. 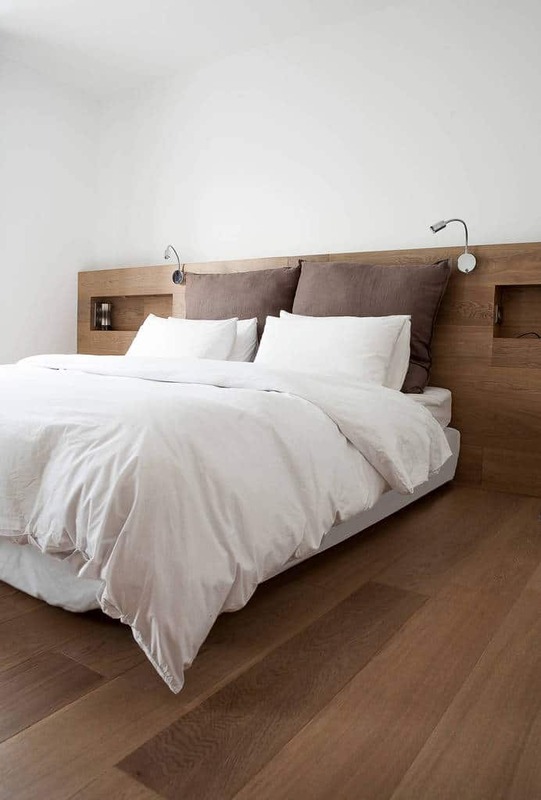 The beautiful hardwood floor style continues right up to the area behind the bed to bring this room a great look. It is a great design that is not overwhelming. When you have a perfect brick wall like this one, don’t cover it up. Use it. 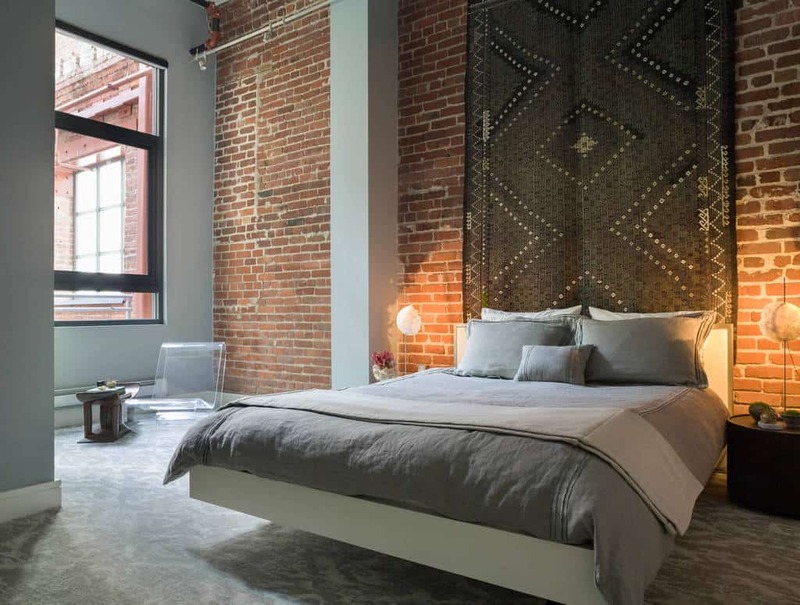 This industrial feel is great to design around, with an open floor plan and plenty of room. Make sure your room matches your needs. If you love books, give yourself plenty of shelf space for them. This room has an easy design that is light and comfortable. 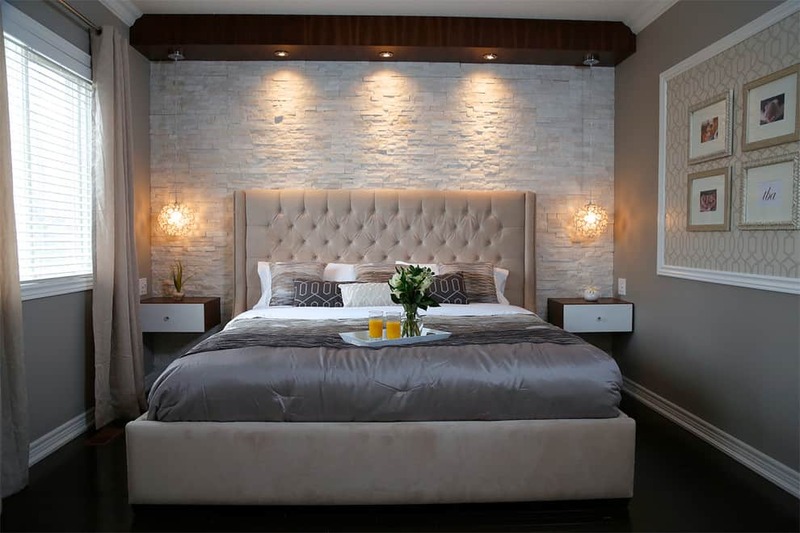 The stacked stone design behind this bed gives your space some texture and perfectly matches this space. With a calm elegance at work, this room really is romantic. This room is open and spacious, offering a great view thanks to the many windows. The golden trim all around brings this space to life, and the light furniture is a great fit. You can have color, so don’t be afraid to go for it. 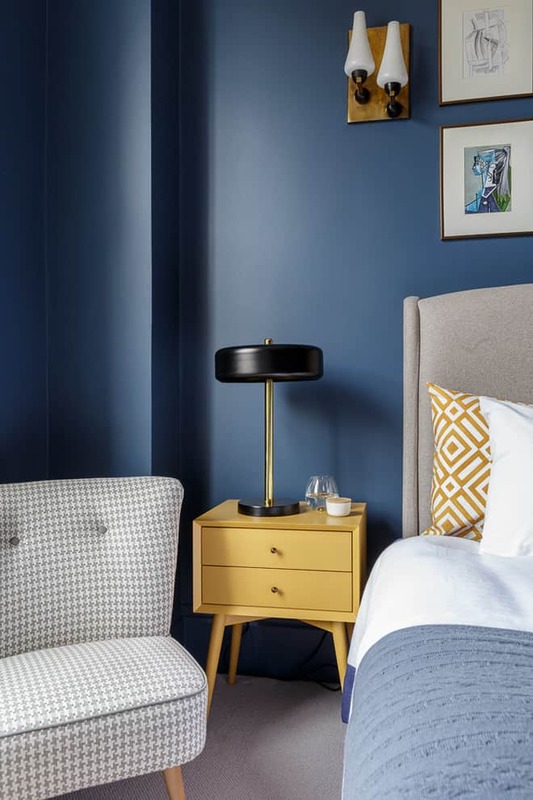 This bedroom uses the blue walls to design around, with great furniture and patterns. The walls take on a great design in this room, bringing a unique pattern. The room is all inclusive, giving you a space to relax in the bathtub after a long day. Sometimes an unfinished look is the finish you need. This large industrial style space is perfect, giving you enough room to create a wonderful beroom. 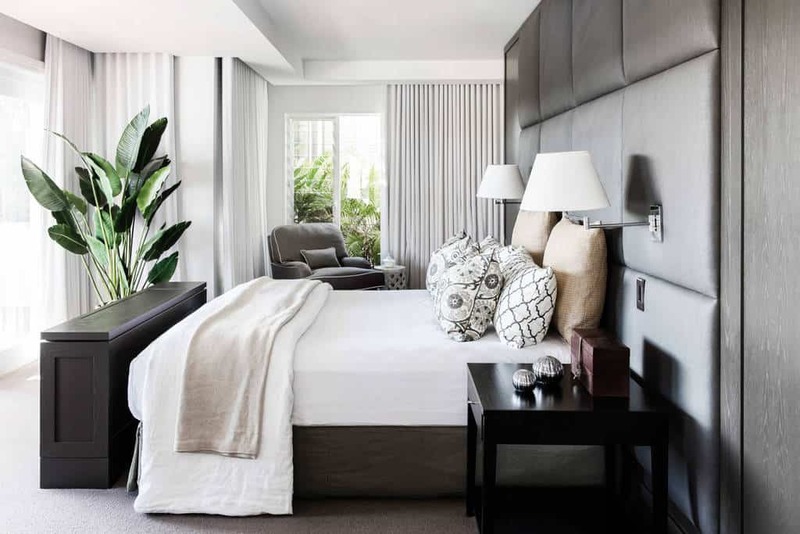 There is nothing complicated about this bedroom, and that is what makes it beautiful. With cute decor and simple furniture, this room is open and bright. 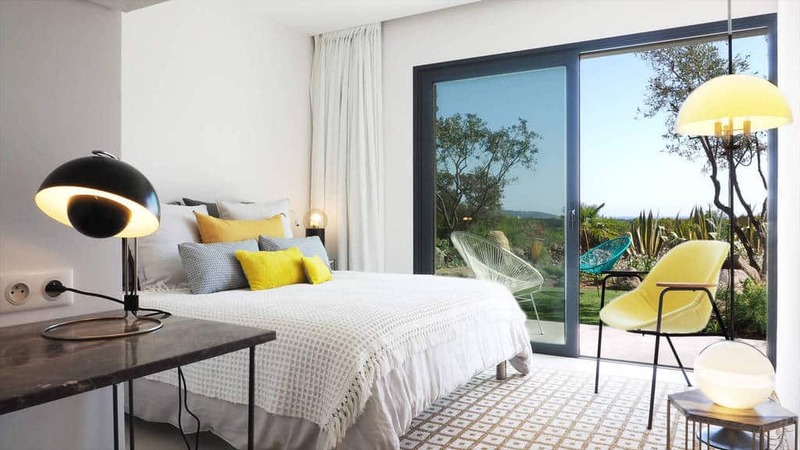 This bedroom opens up to a wonderful patio outside. With light colors and a fun design, you will always be relaxed in this well lit space.